MONTGOMERY, Alabama -- The loss of an Alabama town's 24/7 fast food restaurant to fire was apparently so big the community organized a candlelight vigil to say their goodbyes. About 100 people turned out for the event in the capital city of Montgomery, WSFA-TV reports. The effort started as an apparent joke in a Facebook event last week, but as momentum and interest grew, organizers decided to make the event a reality. "Please join us in mourning as we stand together in the loss of our beloved taco bell," the Facebook event stated. Organizers said they weren't allowed on the property of the restaurant since it's still an active fire scene, so they met at the Arby's next door. Another video shows a little lighter atmosphere, where a Taco Bell-themed prize was apparently given out to the crowd. WSFA reports the fire began in a small room holding electrical equipment. 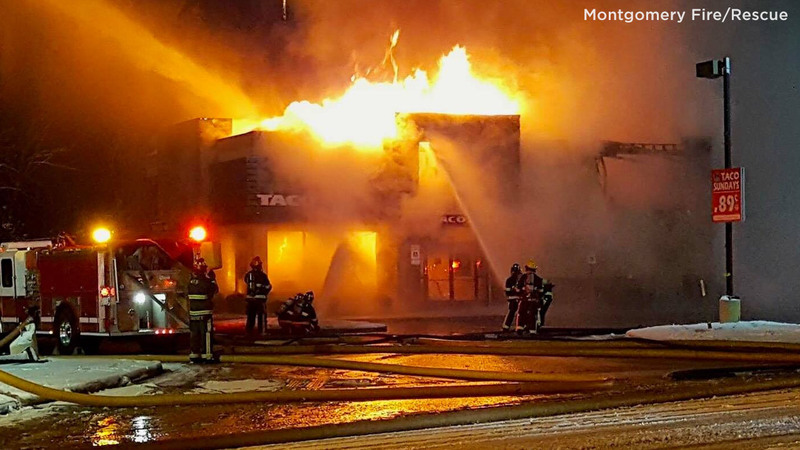 The owners said they plan to rebuild the fast-food restaurant. Cadbury Egg flavored mayonnaise: Yum or Yuck?